Everything changed between them the first time he called her Katie. Katherine Yoder has loved Johnny Mullet since the two were children, but he's never returned her affections. Now Johnny is trying to forge a new life for himself by purchasing a farm and building a business of his own. But times are tough, and he soon learns that he can't take anything for granted - especially Katherine. But before Johnny has the opportunity to tell Katherine his true feelings, she's struck by a serious illness. While Katherine struggles to recall recent memories of Johnny, a surprise visitor comes back into her life, claiming that his letters speak of a history and a future for the two of them. With the two men vying for her attention and her memory still elusive, Katherine has never felt so torn. But will the solutions to both Johnny's and Katherine's problems lie in places neither one has ever considered? What made the experience of listening to Letters to Katie the most enjoyable? This book was very delightful and reassuring that had God's hand in all the words. A true love story with ups and downs. With trust in faith there may be disappointments but the things that can work out will and if God finds a different way then his will and love are always there! 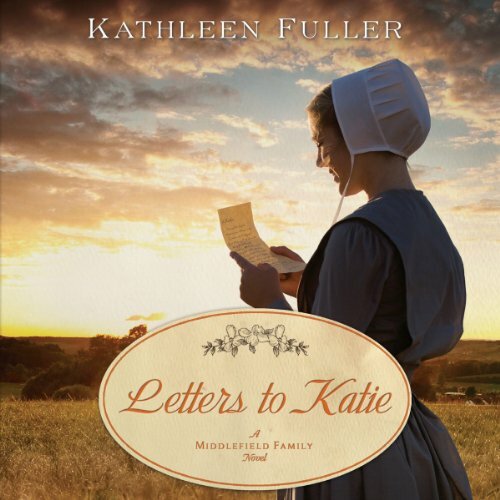 Thank you to another good book by Kathleen Fuller. Good story, liked the grandmothers. Reader with good voices, but mispronounced words in the dialect, at least compared to what I'm used to and have been listening to on other audiobooks. Was surprised it ended so soon, seemed like it needed more content.